make the buttermilk cornbread recipe. you can find it here. place the pecans on a cookie sheet. toast the pecans in the oven with the cornbread as it bakes until fragrant, about 5 minutes. remove from oven. set aside to cool. once the cornbread is cooked, allow the cornbread to cool enough to handle. lightly grease a 9x13 baking dish. 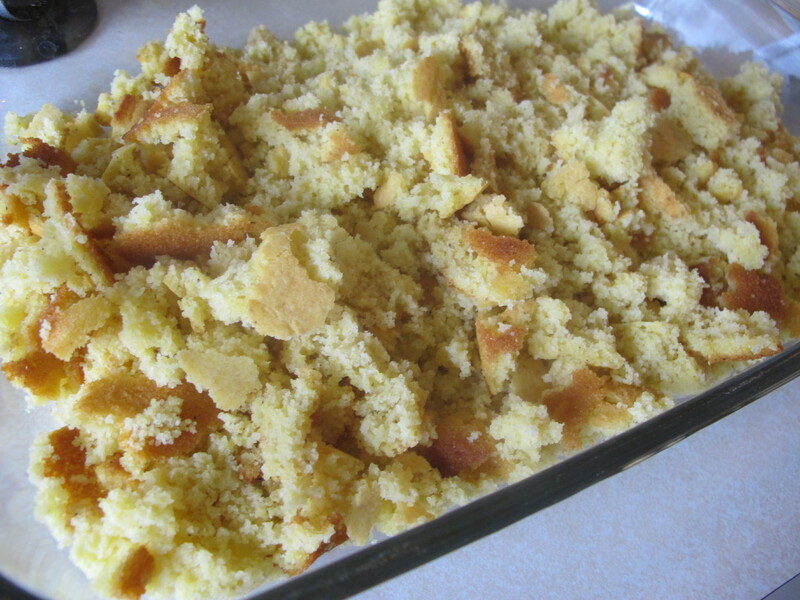 remove the cornbread from the pan and break it up into pieces into the prepared baking dish. set aside. 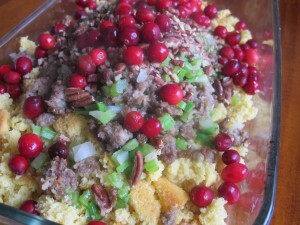 in a small bowl, add the dried cranberries. 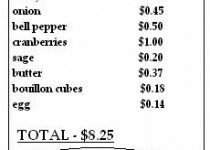 pour boiling water over the berries. allow the berries to steep in the hot water for about 30 minutes. drain, and set aside. in another small bowl, add the 3 chicken bouillon cubes. pour over 2 and 1/2 cups of boiling water. (feel free to use or 2 1/2 cups chicken stock instead). allow to steep. set aside. preheat a large saucepan over medium high heat. add the sausage. cook and stir, breaking the sausage up into pieces as it cooks. add in the celery, onion and bell pepper. saute the veggies with the sausage until slightly soft. remove from heat and pour over the prepared cornbread. stir in the reserved pecans, reserved re-hydrated cranberries and rubbed sage. drizzle over the melted butter and reserved chicken stock. stir until combined. taste, season with salt/pepper if needed. add in the egg. stir until incorporated and flatten into an even layer. cover with foil and bake in the preheated oven for about 20 minutes. remove the foil and bake another 20 - 25 minutes until browned on top and cooked through. 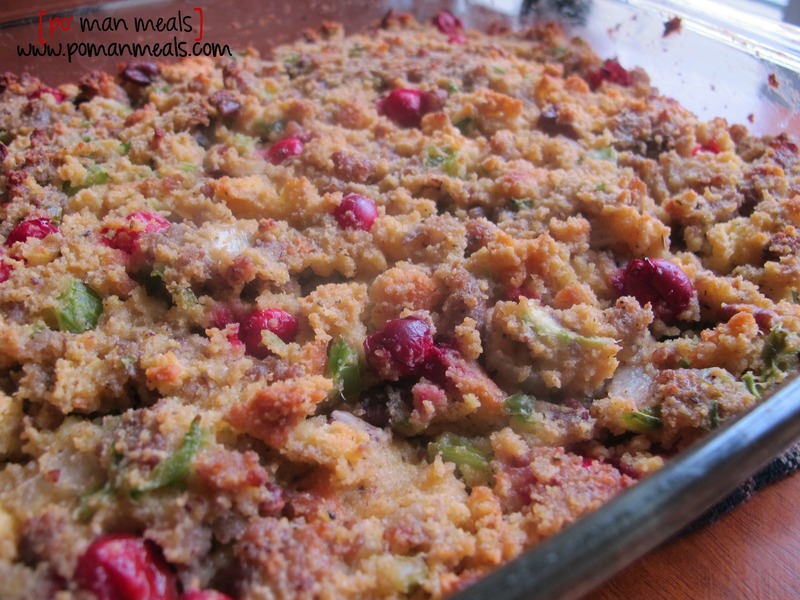 we loved the taste of the re-hydrated cranberries in this dressing. consider adding chopped apple for added sweetness. 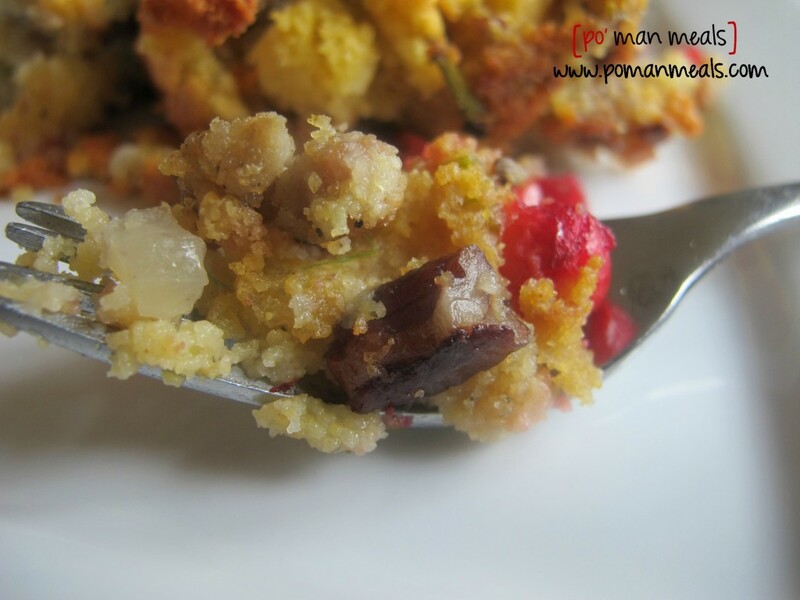 i tested this recipe with fresh cranberries as well. it turned out good, but the berries were sour and left a sour aftertaste.